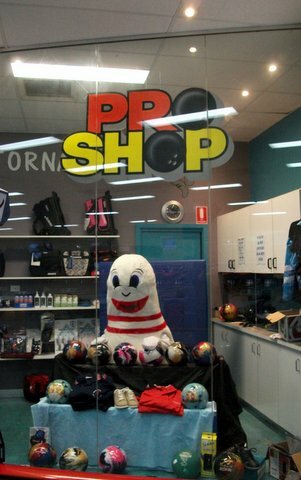 Our Gosford City Bowl ProShop is well equipped with everything you need for your next tenpin bowling game. For bowling balls, shoes, clothing, bags and accessories, visit our ProShop and speak to our friendly staff. Our ProShop is open from 9am to closing time. We have Top Rate experienced staff who are kept up to date with the latest technology and who can not only help you pick a ball to suit your style and your budget. We can help choose from plastic to high performance, but also give you guidance on how to bowl and adjust your technique to help get those strikes.